Heidal Rafting offers family tours that work for most families. We pay special consideration to families’ needs in comparison to tours for other groups. 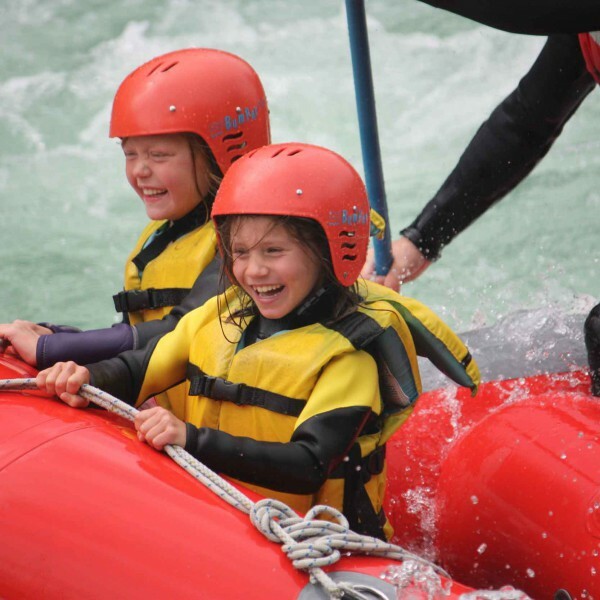 A family tour at Heidal Rafting is fun for the whole family – naturally with all the necessary safety instructions so that safety will be top. A family tour pays attention to the wide age gap within families and adjusts the activities to a level that will allow everyone to take part. The activities should be family-friendly. The price should match a family’s budget. Families might not want to take part in the other formats that are designed for groups like a bunch of friends, stag or hen nights, company parties, school classes or the like. For that reason, we have designed family packages that pay attention to that. The activities on a family tour feature a level that is suitable even for the youngest participants, and the prices are especially low. 2 nights in a family hut with a bathroom and a mini kitchen, breakfast buffet and lunch/lunchbox plus 3-course dinner in Peiestua are also included on a family tour, of course. For members of Norsk Vandrerhjem or Hostelling International, we give a kr 250,- discount to the family. Qualified guides – wetsuit with jacket and water shoes, helmet and life jacket. Wool or super-underwear to wear underneath the wetsuit on cool days. Wool socks, towel and toiletry bag. Your safety is important to us! For that reason, we have good safety routines, very well qualified guides and top equipment.